When you get to Dustwallow marsh, run the macro then you can move waypoints to the back of the queue till you get the closest one and delete each waypoint as you get there. Alcaz island is a pun on "Alcatraz" in San Francisco bay. This achievement is woefully incomplete. There are so many other places to explore. So.. While I'm swimming I just wanted to put in a request here. Is there an easier way to get to Alcatra- I mean Alcaz island? Makes me wish I had the patience to get the water mount, or that I were a druid. 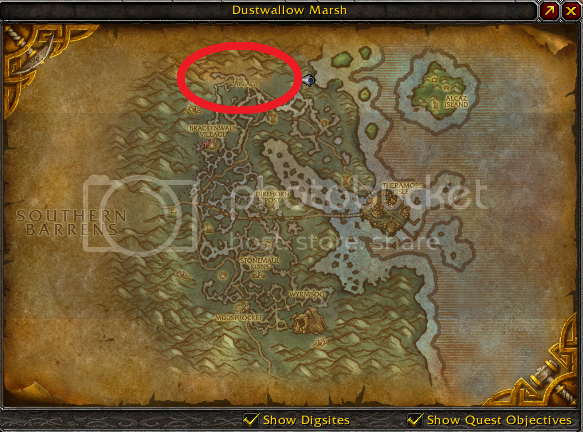 As of cataclysm you also need to discover Blackhoof Village, located here. I FINALLY FOUND IT! @_@ The Shady Rest Inn is on the path in the west leading to Southern Barrens! I flew down this path before but you literally have to be right on top of the Inn! Tomtom approved as of patch 4.3.0. Explorer le marécage d'Âprefange et révéler les zones voilées de la carte du monde.